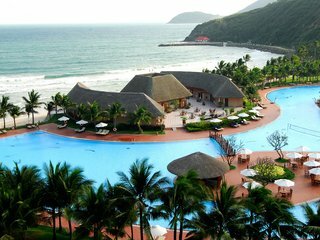 The hotel and resort landscape for Nha Trang has grown dramatically. 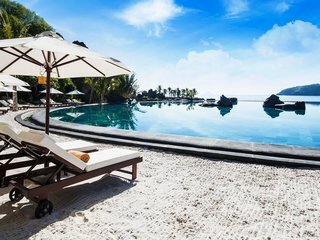 The erection of dozens of high-rises and beach resorts by the world’s leading brands in the recent decade is testament to the popularity of this beautiful coastal city. 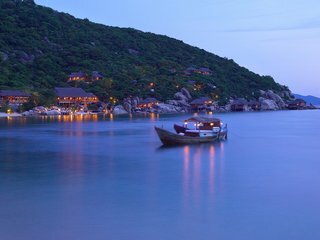 Globally known brands such as Sheraton, Marriott, InterContinental, Novotel and others grace the city’s skyline, and luxury resorts like An Lam Ninh Van Bay and Six Senses Ninh Van Bay set precedents for the country. 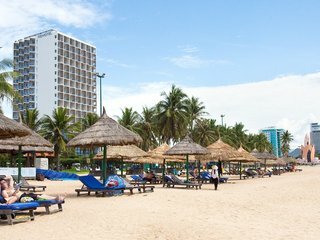 At the moment, the only resort officially built on the beach is Evason Ana Mandara Nha Trang but this may change soon as the permit might be revoked. Vinpearl Luxury is a staple of Hon Tre island, with an excellent golf course on premises. Diamond Bay is another major destination for business conferences and various events . 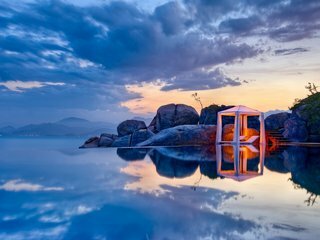 Nha Trang is dotted with countless 1-3 star hotels, and many 4 star hotels, including what may be among the best-rated in the city, Novotel Nha Trang. You will find everything from $8 US to $500+ US nightly rates in the city. Rates remain some of the best among major cities due to dropping demand and less Russian tourists over the past year. This, however, does not lessen the beauty of Nha Trang, or the quality of its accommodations.